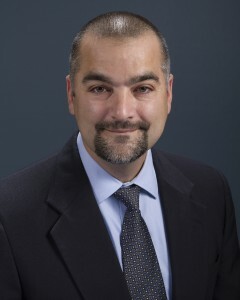 Joe Suleyman became the director of the New Hanover County Environmental Management Department in June 2012. In this position, Joe is responsible for managing a fully integrated solid waste management program that serves New Hanover County residents and businesses. The Environmental Management Department consists of dedicated men and women who operate four divisions: recycling, household hazardous waste, landfill, and administration. Joe is a United States Army infantry and combat engineer veteran and was deployed to Bosnia-Herzegovina during Operation Joint Endeavor. After leaving the military, Joe entered the world of waste management as an operations manager at Alcoa’s hazardous waste treatment, storage, and disposal facility in Arkansas. Prior to joining the New Hanover County team, he served in leadership roles in the private sector in solid waste collection, transfer, and disposal including operation of municipal solid waste landfills and recycling facilities. Joe holds a Bachelor of Science degree in Aviation Business Administration from Embry-Riddle Aeronautical University. While serving in uniform, he graduated Engineer Officer Basic Course at the US Army Engineer School in Ft. Leonard Wood, MO and the Mapping, Charting, and Geodesy Officer Course at the Defense Mapping Agency in Ft. Belvoir, VA. He is also a Certified Manager of Landfill Operations (MOLO) by the Solid Waste Association of North America. He is an active member of the Wilmington West Rotary Club and Coastal Composting Council. A kayaker in his off-time, Joe enjoys exploring the rivers and creeks of southeastern North Carolina. Oversees a staff of 20 personnel operating the county's municipal solid waste (MSW) landfill, including construction and demolition debris recycling, scrap tire program, in-vessel composting system, wastewater treatment systems, equipment maintenance, and landfill scale house operations. Oversees two full-time employees and the county's Household Hazardous Waste program, including the mobile HazWagon. Oversees, operates, and maintains the New Hanover County landfill's wastewater treatment systems, leachate collection systems, and pump stations.